Arianna Huffington says news outlets are "mainstreaming" Donald Trump's "extremism" — and her web site won't be a part of it. Huffington said the "editor's note" on The Huffington Post's articles about Trump — calling the GOP frontrunner a "serial liar," racist and bully — is designed to make sure readers don't forget about his "extreme statements." The Huffington Post's adversarial, disdainful Trump coverage has been ridiculed by rivals. But her view is that it's "a dereliction of duty for a media organization not to have a point of view on Donald Trump," she said, later adding that Trump "has the potential of destroying this country." But by deciding last summer to place most Trump campaign coverage in its "entertainment" section, wasn't The Huffington Post foolishly dismissive of his game-changing candidacy? No, she said in an interview on CNN's "Reliable Sources," defending her adversarial approach. 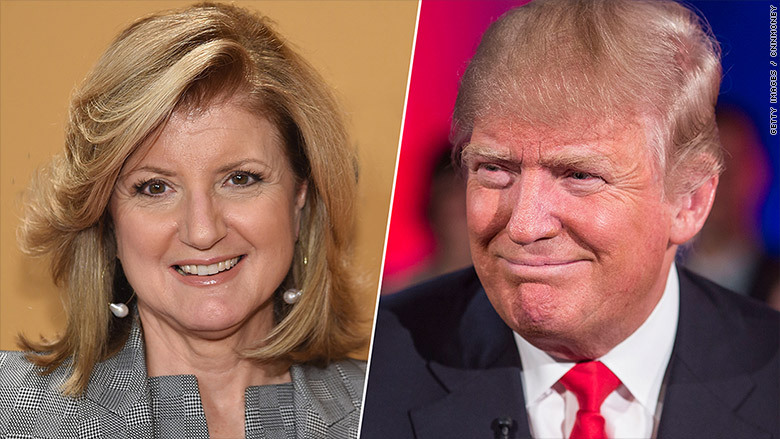 Arianna Huffington says Trump has "the potential to destroy" America. 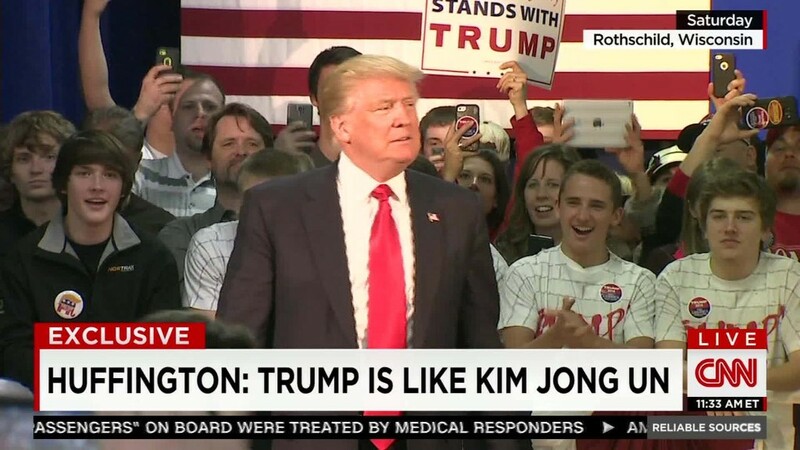 "We think that he's a little bit like Kim Jong-un," Huffington told me. "You know, he's both a buffoon, and he's dangerous. So, we started covering him as a buffoon, until the day when he proposed that we ban 1.6 billion Muslims from entering the United States. From that point on, we started covering him as a clear and present danger, with an editor's note at the end of each story." Trump says his ban would be temporary and that the government would make some exceptions. The Huffington Post's editor's note says: "Donald Trump is a serial liar, rampant xenophobe, racist, birther and bully who has repeatedly pledged to ban all Muslims -- 1.6 billion members of an entire religion -- from entering the U.S."
The site began attaching it to stories at the end of January. "We wanted to signal to our reporters and to our readers that we cannot cover him in a conventional way," said Huffington, the site's co-founder and editor in chief. And she homed in on Trump's past suggestions that President Obama was not a native-born citizen as a particularly offensive example of extreme behavior. She critiqued The Washington Post's Bob Woodward for not asking Trump "about the fact that he's a birther" during an in-depth interview recently. "If you're a birther, it's a little bit like a candidate who believes that the Earth is flat. It's something that is absolutely, unequivocally false," she said. On April 5, Huffington is releasing her latest book, "The Sleep Revolution," urging readers to get more sleep and take sleep more seriously. Perhaps as a clever marketing peg, she is connecting her research to Trump's campaign. When people fail to get enough sleep, their "cognitive functions are dramatically degraded, and we see that happening with Trump again and again," Huffington said. "We see the lack of judgment, the false memories, the inability to process information."